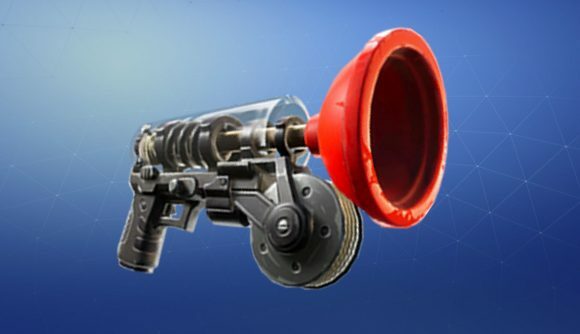 Three more items are getting vaulted in Fortnite: the Quad Rocket Launcher, the Port-a-Fortress, and the Grappler. Epic has noted that the studio wants to pull back on the mobility options available to players, and vaulting the Grappler is certainly one way of doing it – but there are also reduced spawn rates for vehicles and movement items across the board. After the patch, it’s going to be tougher to find Gliders, Balloons, Quad Crashers, and X-4 Stormwings. You can see the details of the percentages in the official announcement, but they’re all dropping by about half. It’s not the complete removal of planes that some players want, but at least you’ll see significantly fewer buzzing around now. While plenty of items are getting removed or reduced in this update, some are making a comeback – as part of Creative. The sandbox will now let you play with the LMG, suppressed SMG, revolver, semi-auto sniper, smoke grenade, and remote explosives. Check out some Fortnite Creative codes if you’re looking for more out of that side of the game. Continued winter updates have brought more challenges to overcome, and we’ve got an Ice Storm challenges guide to help with that. Lacking Grapplers or fortress grenades shouldn’t make any of those goals harder – though mowing down Ice Fiends is still a cold business.